Having a new baby at home can be extremely exhausting and difficult. You’re constantly having to worry about a small human life while trying to maintain your own sanity (somewhat). In addition, when they’re unable to walk yet, it makes life that much crazier. While every day of the year, you may dread carrying your baby around–on Halloween, it makes for a pretty great costume prop. 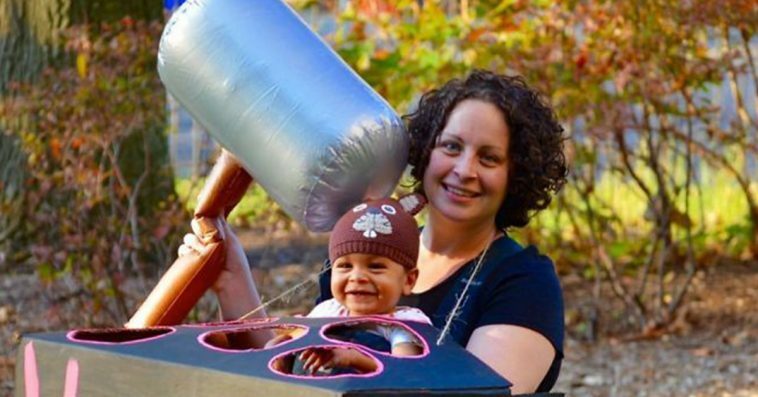 If you’re strapped (literally) with a baby on your chest, we got you covered with some adorable and hilarious costume ideas that incorporate your baby carrier. 29. Secret service with the cutest President ever. 28. The perfect breakfast combo. 27. Who doesn’t love Super Mario Bros.? 26. Darth Vader and little Yoda. 25. Charlotte’s web on steroids. 22. This gruesome, but awesome zombie. 21. The pot of gold at the end of the rainbow.